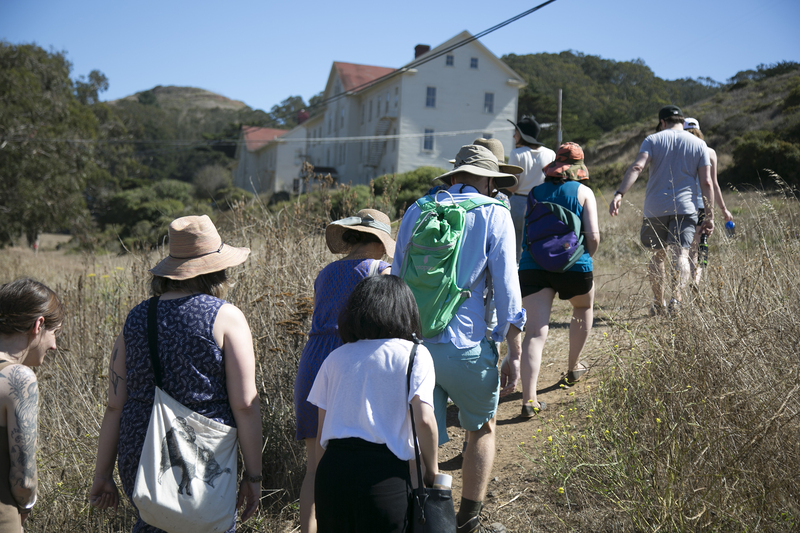 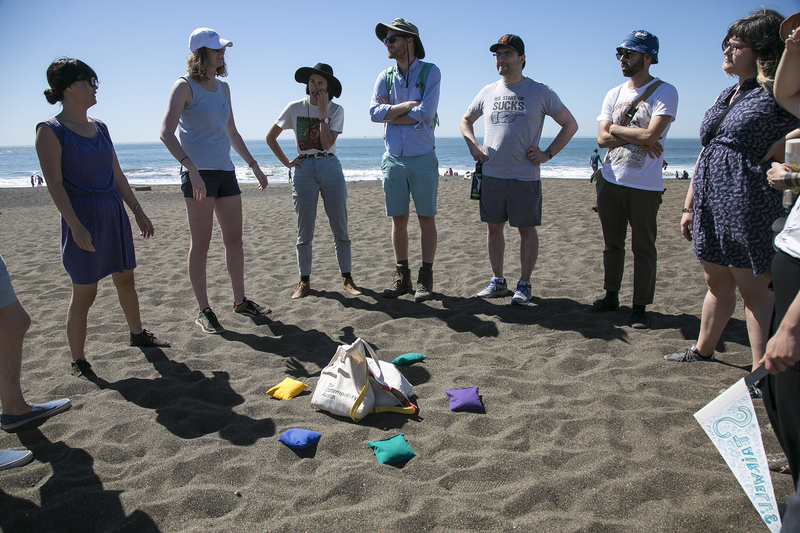 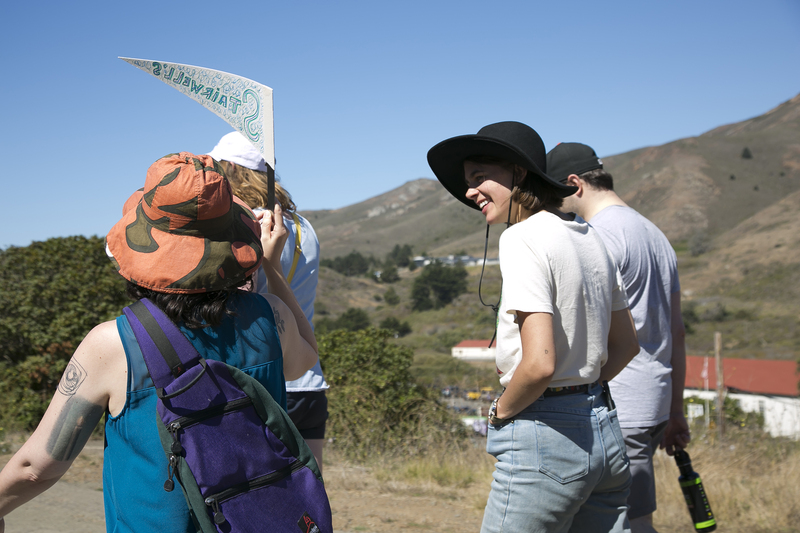 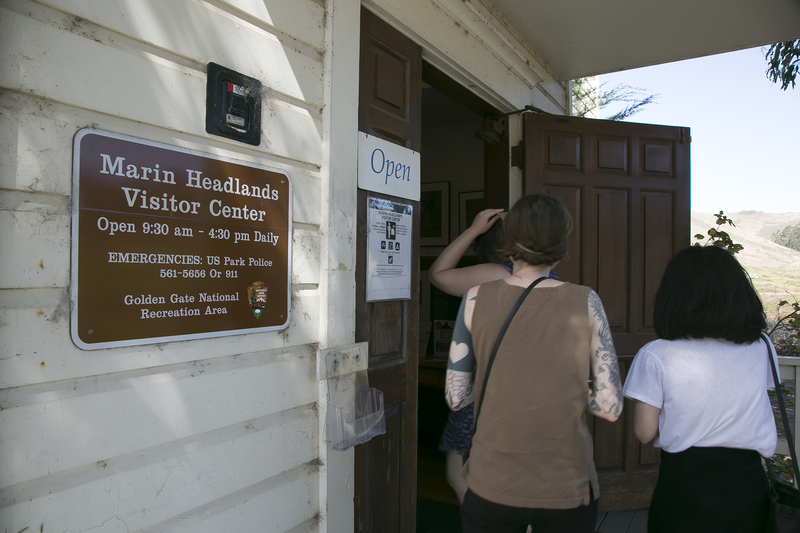 Stairwell’s brought a cheeky style of exploration to Headlands Center for the Arts for their series of artist-led Desire Trails walks. 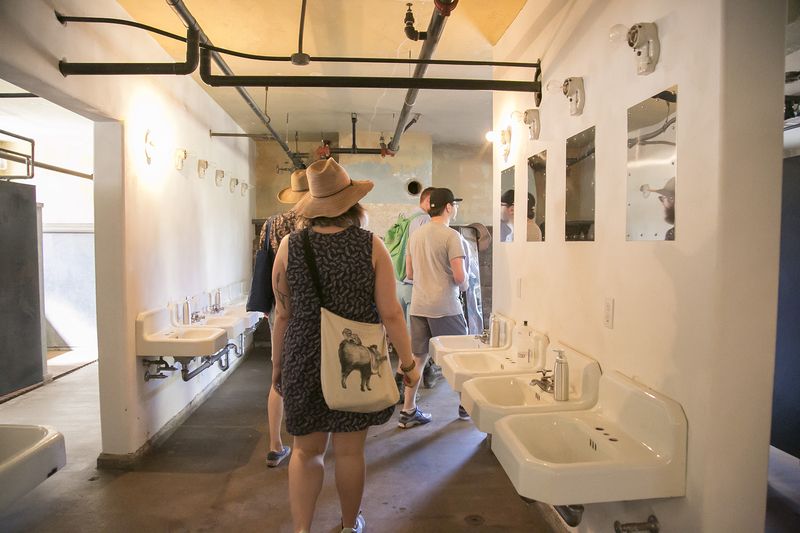 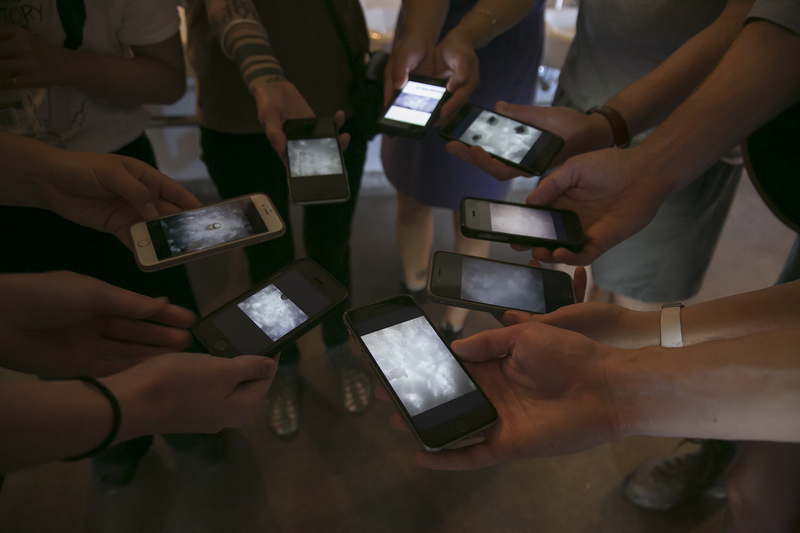 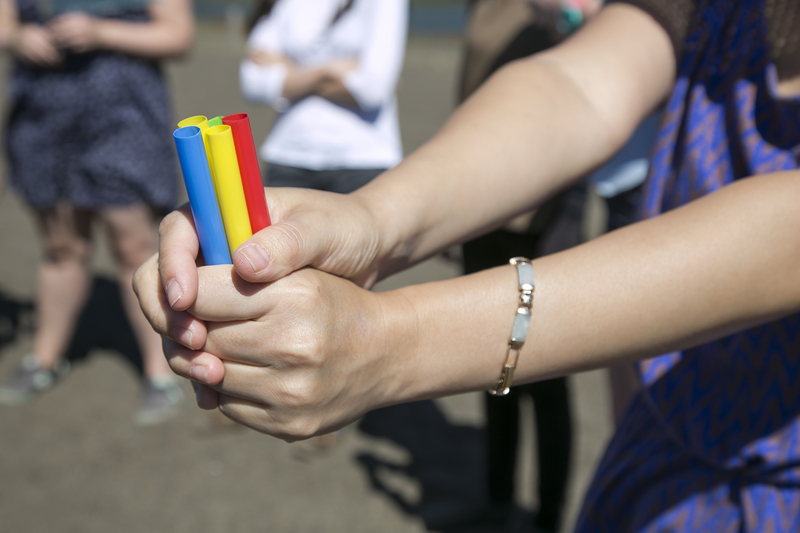 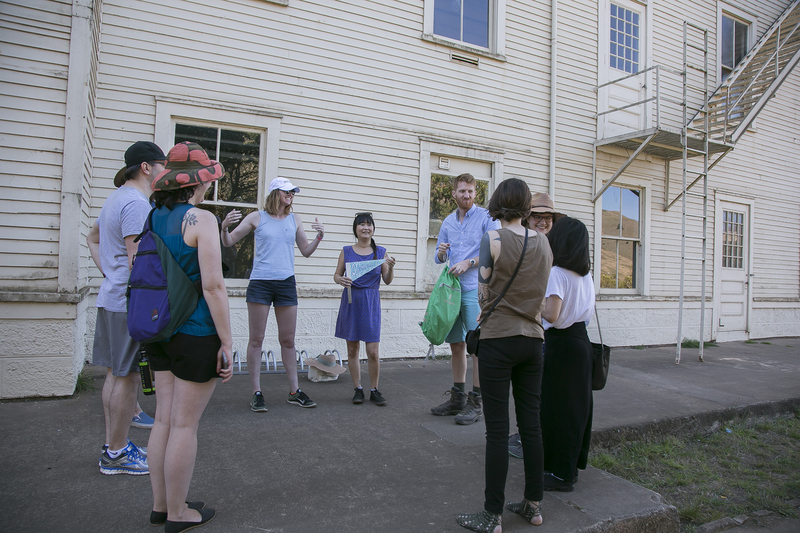 Participants used their senses to observe the environment in unexpected ways on a walk that interwove the historical with the experiential. 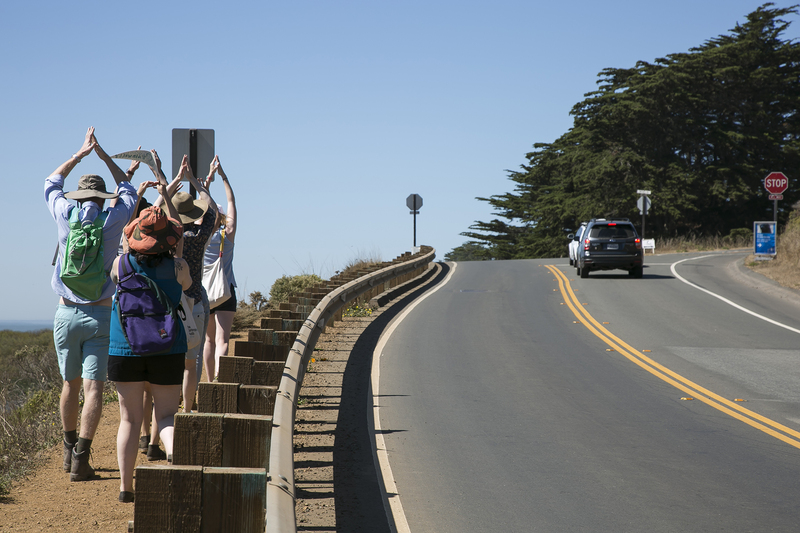 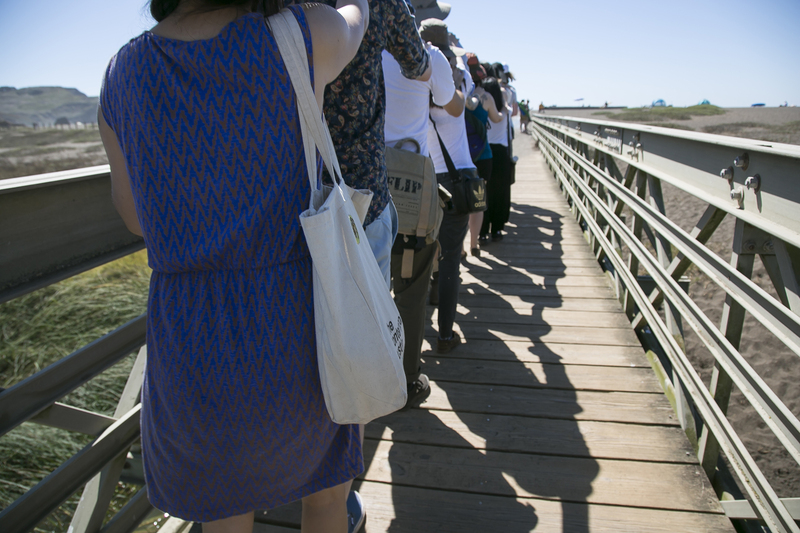 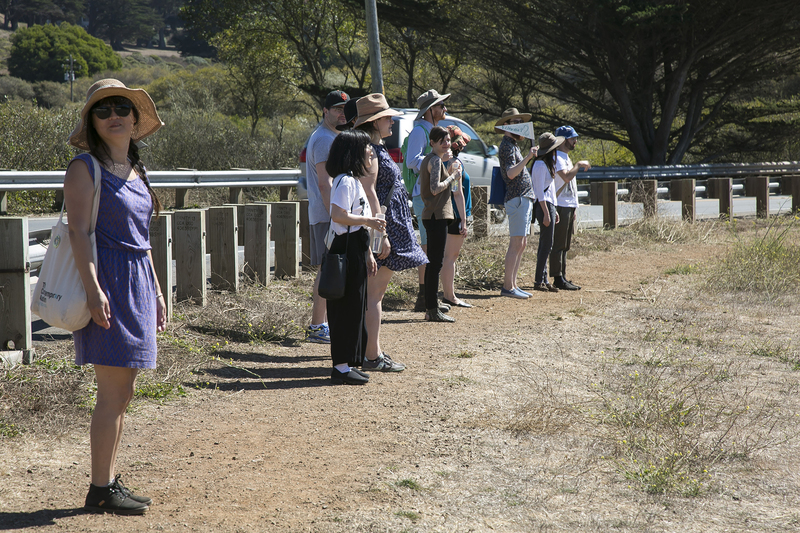 During this Field Trip, we investigated retroreflectors in the Headlands’ bathroom, used road signs and passing cars to enact a site-specific “car-eography,” walked with our eyes closed across a narrow bridge, let partners guide us over uneven terrain with only verbal cues and took in a rare moment of silence along a wooded path. 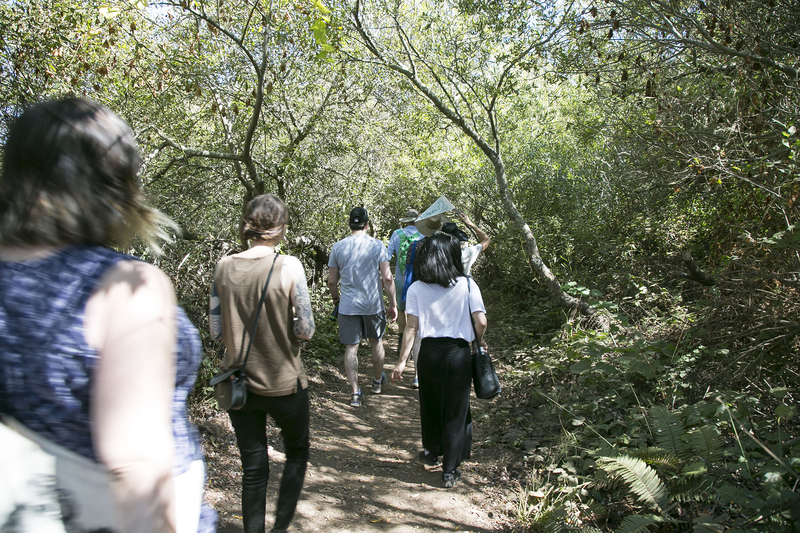 Then we ate a delicious lunch.